Just as Thor: Ragnarok finished filming, cast member Chris Hemsworth took the opportunity to show his support for a very important issue. 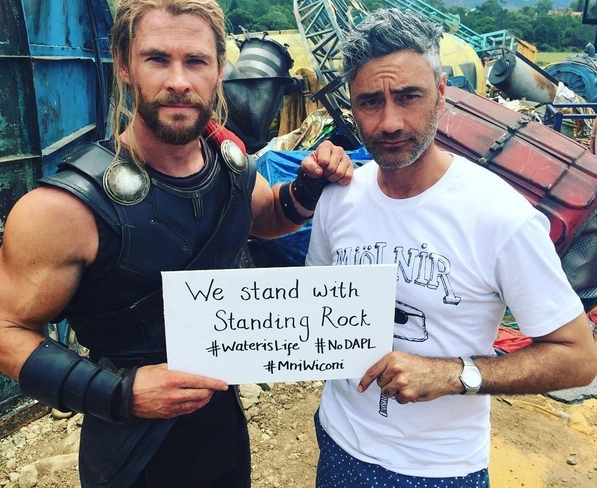 The Thor: Ragnarok star’s sign refers to the ongoing protests taking place at the Standing Rock Reservation in North Dakota. Standing Rock became a site of violent conflict Thursday as armed United States law enforcement officers clashed with protesters. The Standing Rock residents are protesting the construction of the Dakota Access Pipeline, which could have disastrous effects on their access to clean drinking water. Thor: Ragnarok director Taika Waititi has Maori heritage, and has previously been an advocate for the rights of indigenous peoples. Chris Hemsworth’s Thor: Ragnarok co-star Mark Ruffalo, who plays the Hulk, also shared his support for Hemsworth’s statement. Thor: Ragnarok star Ruffalo did more than Instagram about the issue, he actually went to Standing Rock to join the protesters in person, and was present on Thursday when the conflict took place. 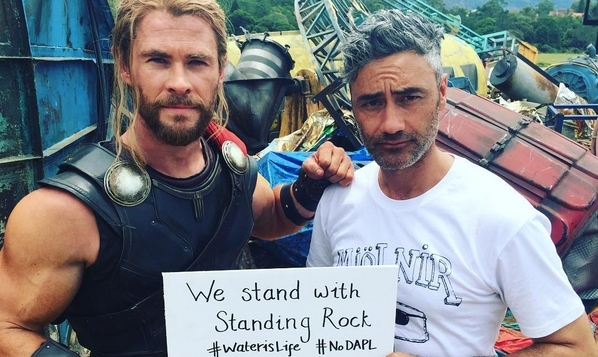 Hopefully Thor: Ragnarok stars Mark Ruffalo and Chris Hemsworth will continue to show their support for the Standing Rock protesters and keep using their celebrity for important causes. 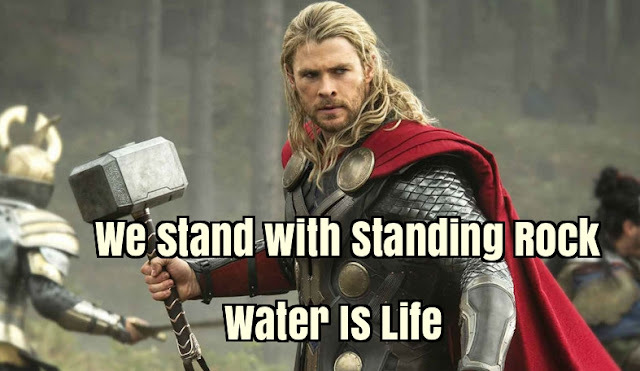 Responses to "‘Thor: Ragnarok’ Star Chris Hemsworth Shares Support For Standing Rock"